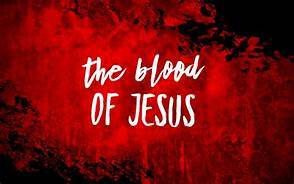 In 2018, the Lord asked me, “Do you believe My blood is enough?” I’ve been pondering the question since then. Enough for what, you may ask? Enough to heal every sickness, disease, and infirmity. To break off every demonic thing that has latched itself onto my life or the lives of others. To remove the veils that blind myself and others to the Truth. To wash away all sin from my life. To break down every stronghold and mindset that keeps me from walking in the fullness of my calling. To change my very DNA to match His own… And so much more! I would be lying if I said I have arrived. He asked me that question for a reason. Raise the standard. Come up here. Dive deeper. This is the Power of the Blood, now walk in it –– live like it –– talk like it –– be transformed! He left His eternal throne, where the four living creatures dwell, the elders cast their crowns, and the angels praise Him for all of eternity. He came to the earth not as a political figure taking power in the natural, but as a baby who grew into a sacrificial lamb –– the seed that would fall and spring forth in resurrection power as the firstborn of a race that had never been seen before –– the Second Adam, Who was far greater than the first! He, the Great I AM, came down and gave up His own life –– every single drop of blood. For you. For me. Can you say that over yourself? Jesus, the One True God, stepped out of heaven for you. It’s personal –– He had you in mind. If you were the only person on the planet, He would still do it, because that is His nature. Let that sink in for a moment. Just as He died and rose, we die to this world and are born again with His DNA –– complete in Him. We are called to awaken others to this –– to Him –– to the Truth!